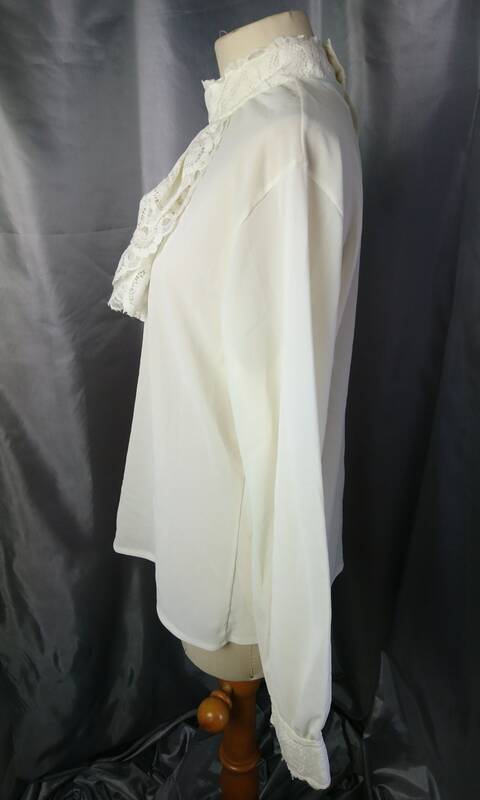 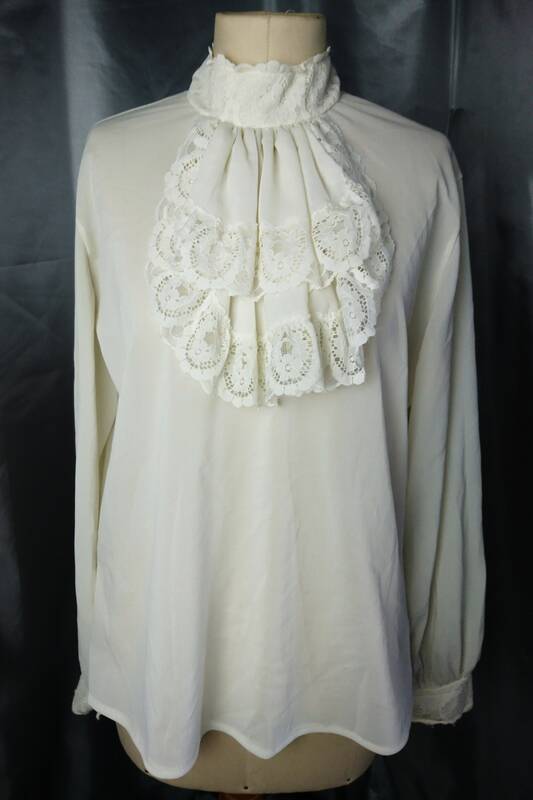 A very pretty vintage, 1950's Sybille Claymar label jabot blouse. 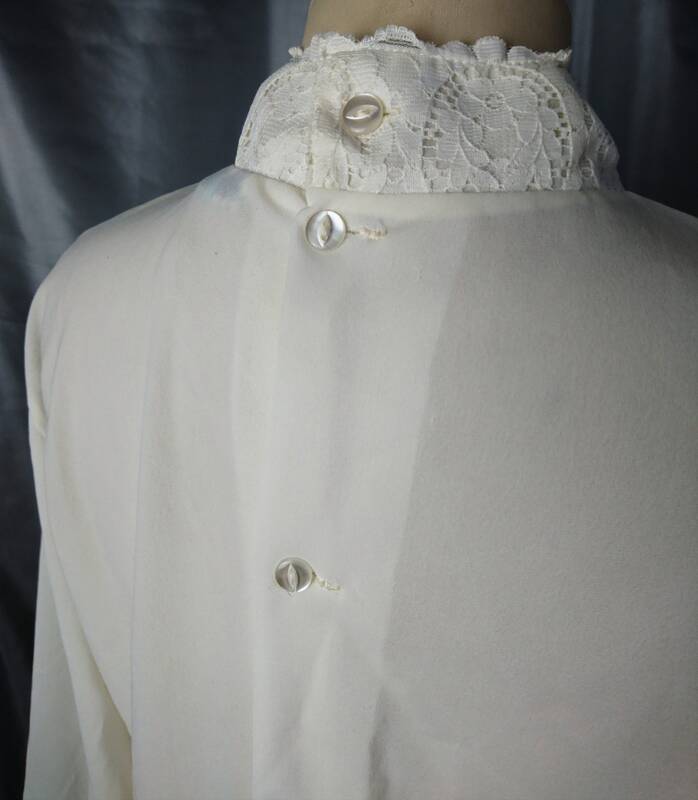 Long bishop sleeves which fasten at the cuff and buttoned up the back with pretty pearlised buttons. 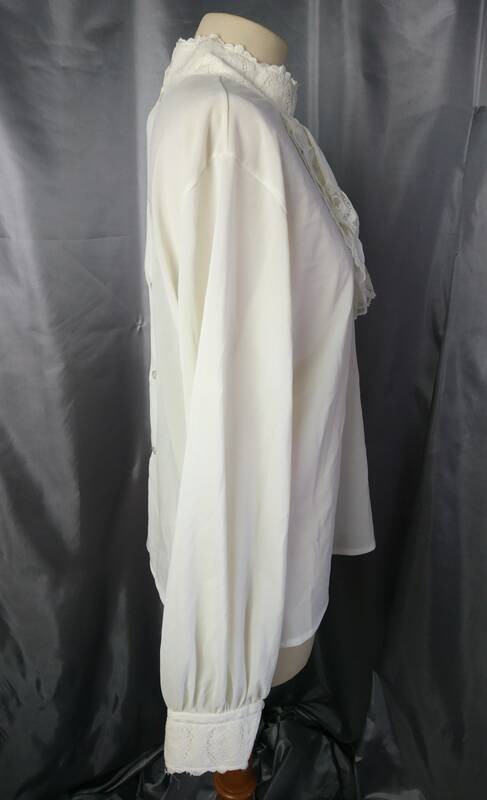 It is made from pure nylon in a creamy off white shade and the fabric has some stretch in it. 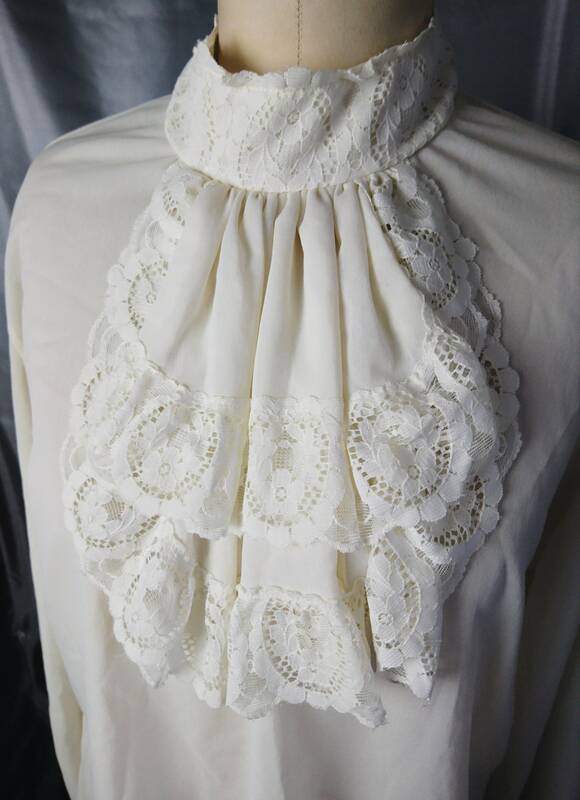 It has a lace detail ruffle jabot at the neck and a high lace covered collar. 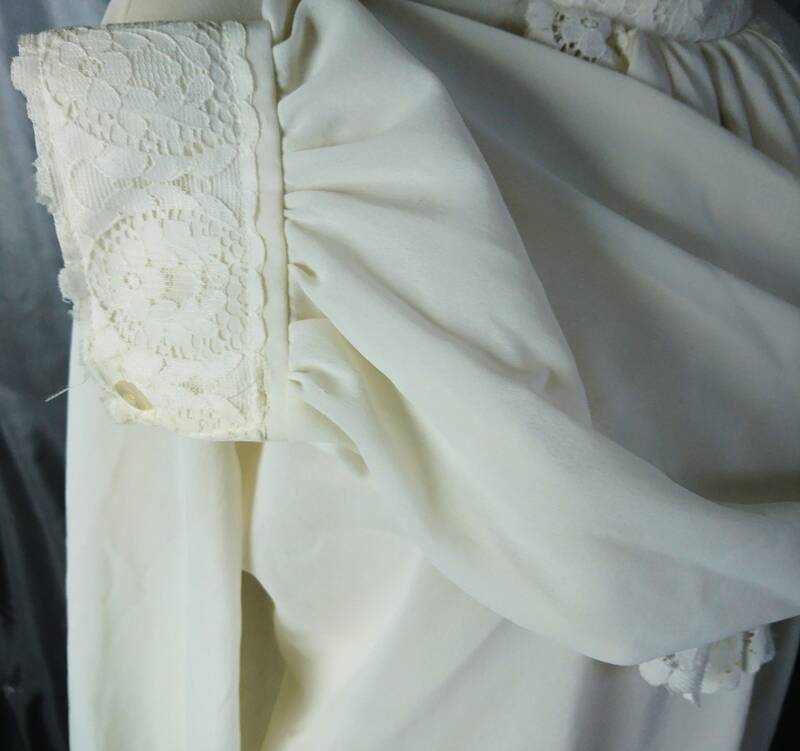 Labelled Sybille Claymar, pure nylon. 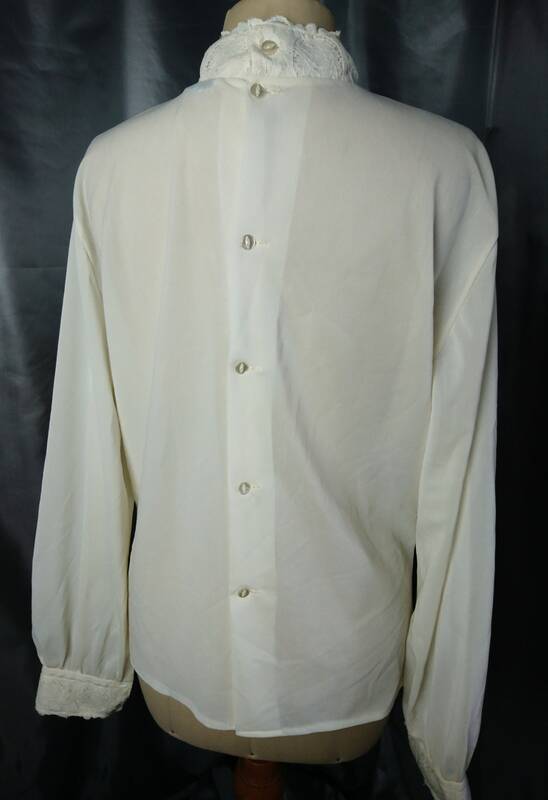 Good vintage condition though it does have some snags where the fabric has pulled at the front. 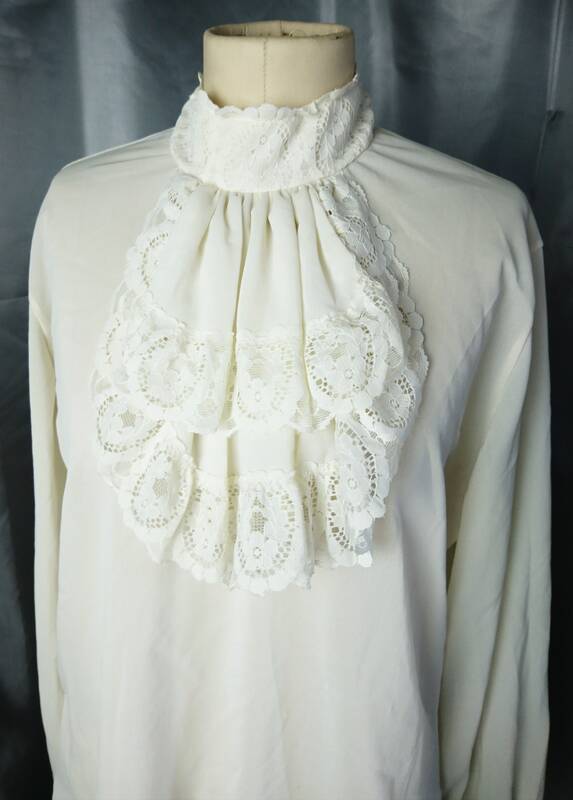 This garment has not been cleaned so may require cleaning prior to use.